Renewable sources of energy are getting more efficient by the day – yet energy storage remains an obstacle standing in the way of wide adoption. To fill this gap, some companies are thinking outside the box and investing in developing energy storage that relies on cold air. 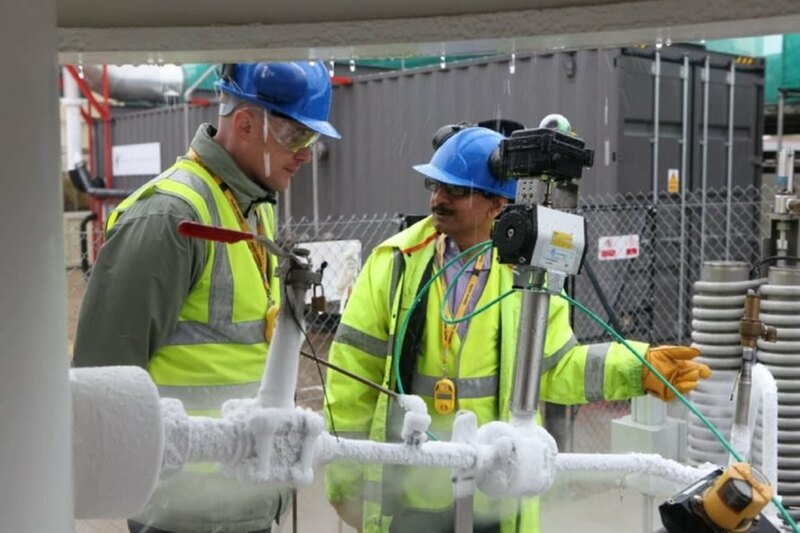 “Compressed air is an interesting technology,” Ravi Manghani, director of energy storage at Greentech Media told the BBC. “It can be a form of bulk storage.” Alacaes in Switzerland is one company that has explored cold air energy storage by drilling a hole in the side of the mountain, in which compressed cold air is stored until needed to drive a turbine. Read on to learn more about this and other efforts to hold energy in cold air. Alcaes’s mountain drilling technique may prove effective, though it is limited in its applications. “The downside is it has to rely on specific geological formations… It needs underground caverns which in itself is a limitation,” said Manghani. 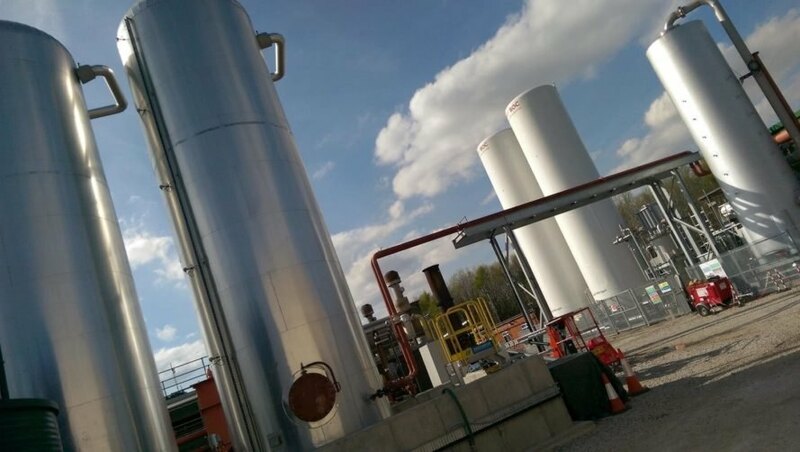 The United Kingdom-based Highview Power Storage is pioneering an alternative method for cold air energy storage by using refrigeration to cool air to -196 degrees Celsius, at which point air becomes liquid. This liquid air is then held in low pressure environments until it is needed. Pipes at Highview Energy Storage are white with frost and store cold air within. 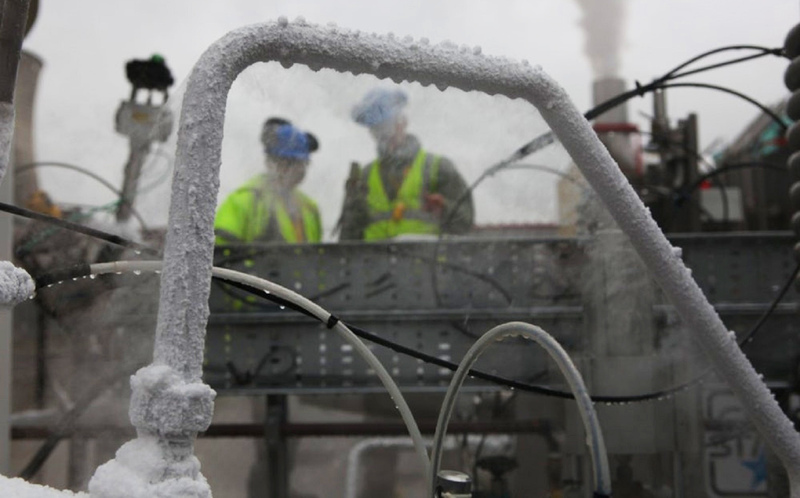 Workers examine the cold air energy storage system at Highview. Large tanks hold cold air, which can be tapped into for energy at a later point.